Despite the president having referred to Ferdinand “Bongbong” Marcos Jr. as the possible new vice president and Marcos Jr. calling himself lucky to have Duterte as a friend, the president on Saturday denied having a special relationship with the former dictator’s family. “It’s not because of the Marcoses. ‘Bati-system’ lang, there’s nothing close. We never had any dinner together, except one or two. Wala akong ano,” he explained. Duterte also pointed out that his mother had led protests and had marched against the dictatorship. The only reason that she did not end up being arrested was because his father had been Davao province’s governor. 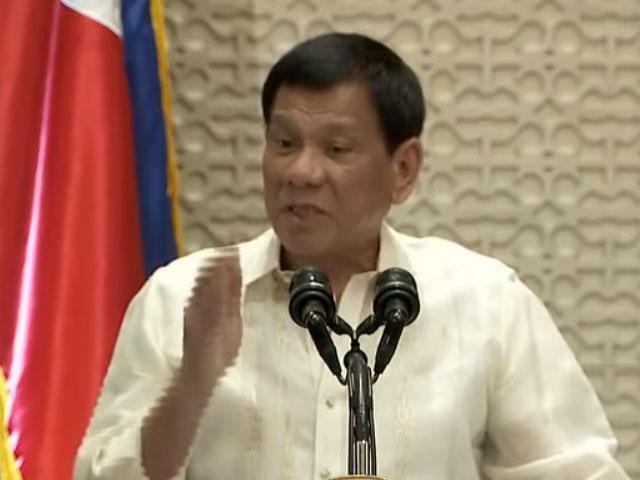 However, the president recounted that Davao, during his father’s governorship, was one huge province, that was later broken up into several smaller provinces by the Marcos government. “When my father died – gerrymandering. So everybody was given his territory… Rabat, asawa niya malapit kay Imelda [Marcos], got Oriental. Danding Cojuangco and the Almendrases got Davao Sur. Davao del Norte was given to the Florendos,” Duterte recalled. Duterte’s speech at the alumni homecoming came a day after thousands gathered at the Luneta for a “Black Friday” rally, which protested the LNMB burial given that it honored a dictator, plunderer, and human rights violator as recognized by the legislative and judicial branches of government.